Some 15 schools were represented at this important meeting and CPD session. Ciaran O’Donnell Head of the Music service introduced details of our exciting new offers to schools. 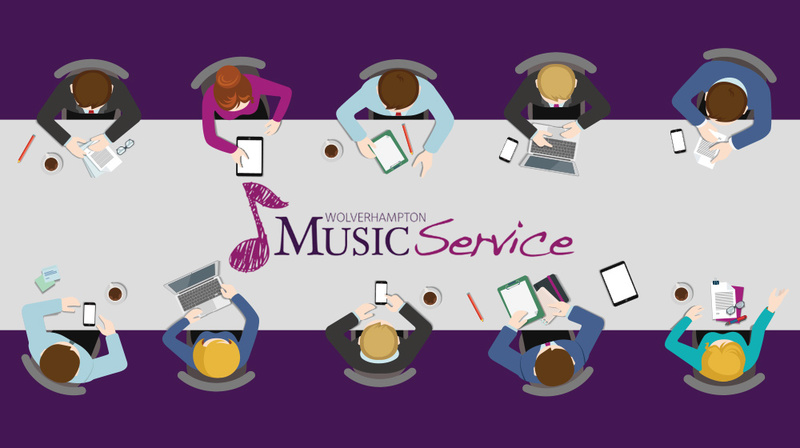 Pete Edwards introduced more opportunities such as the Rockshool Easter course, Wolverhampton Youth Music Theatre new member auditions, the National youth orchestra concert in April and the BBC Ten Pieces free concert at Dudley Town Hall. Sarah Fletcher was also on hand to answer queries and for general advice/discussion. This was the first of our network meetings to be held in a host school and we are very grateful for the wonderful welcome we received from Trinity. Our delegates were entertained on arrival by some excellent young musicians from the school and everyone was exceptionally impressed by the facilities and equipment the school has chosen to invest in music , creating one of the most impressive Primary Music facilities we have seen. We were then taken through an exellent CPD session on the use of Ipads and garageband in the classroom by Martin Chance – Director of Music at Trinity. Thanks to everyone who attended and we look forward to many more of these events supporting the work of city schools throughout the year.